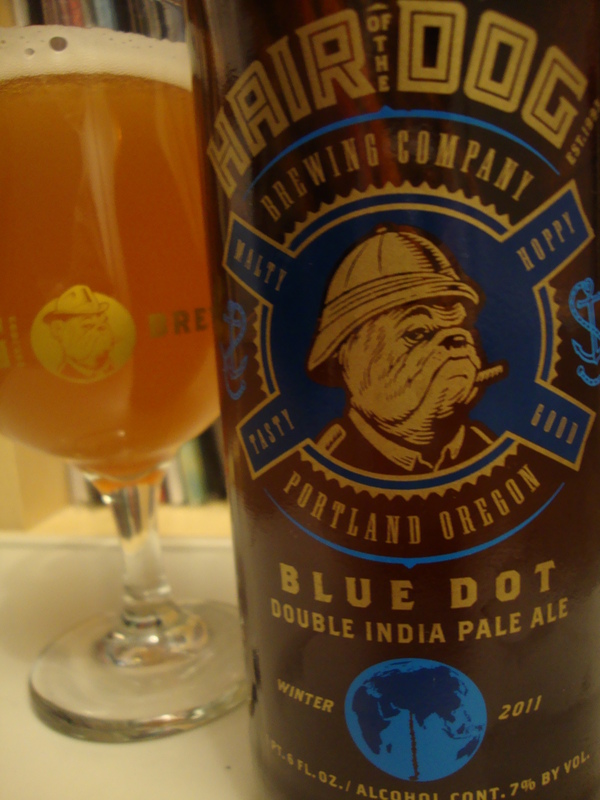 Double IPA | Beer Blotter: Seattle based. World focused. 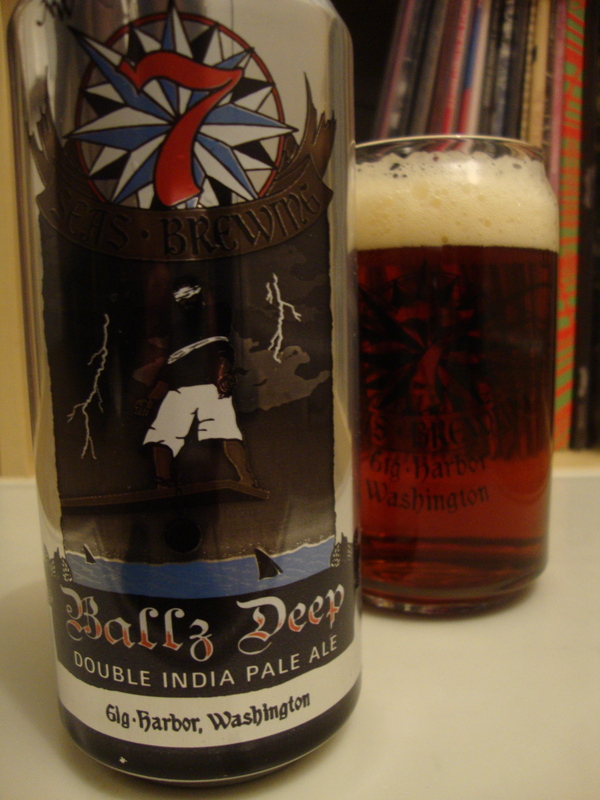 This just in: one of beerblotter’s favorite new WA brewery upstarts has really exciting news to share. The following press release pretty much tells you everything that you need to know, so I won’t blabber on to extensively, but it’s worth noting that, if you saw our 52 Weeks article about the taproom, you know what we really enjoy all of their offerings, and clearly, we love double IPAs, so this is going to be more than worth a trip down to Kent. Do it! 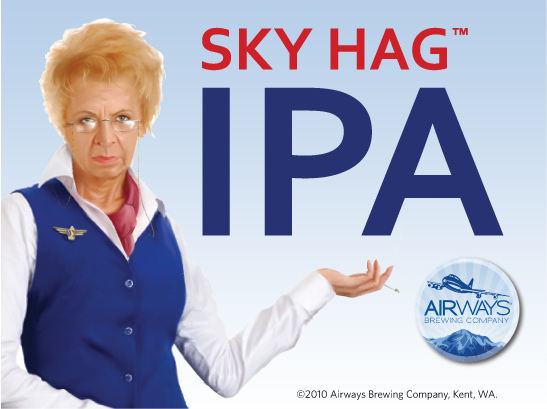 Kent, WA (10/25/10) – Celebrating the bitter women of the air who refuse to retire, Airways Brewing Company, Kent’s Microbrewery, is proud to announce the official release of Sky Hag IPA™ as the newest addition to its regular roster of beers. This is the first Double / Imperial IPA to come from the brewery and the first change in its standard lineup since opening in March of this year. Sky Hag IPA is made with Pacific Northwest grown malted barley and all Columbus Hops from start to finish. A generous dose of “dry hops” give the beer its distinctive citrus aroma. To celebrate the beer’s release, the Airways tap room in Kent will feature Sky Hag IPA on tap, on cask, and a special oaked version Thursday, October 28, 2010. Founded in spring of 2010, Airways Brewing Company is Kent, Washington’s microbrewery. The brewery produces five standard beers, Starliner Stout, First Class IPA, Jet City ESB, Sky Hag IPA, and T-Tail Blonde, and features casks and special-edition beers in its Kent tap room. Airways distributes its beer to fine microbrew specialty bars and taverns in the greater Seattle/Tacoma area. In just a few short months I’ll have been writing my Notes of a Beer Nerd (NBN) column for an entire year. In that time I have not reviewed a single pale ale, IPA, or imperial/double IPA. Why is that? Is it because I don’t like hoppy beers or that I don’t feel that they are worthy of a review? GOOD GOD NO! 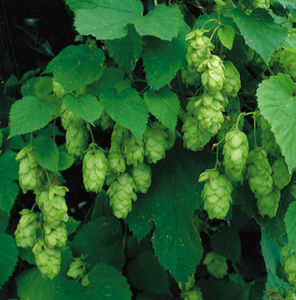 I love all things humulus lupulus! Now I wouldn’t say that the larger classification of “pale” ales includes any single style that I would consider my number #1, most favorite style of all (I am Timperial Stout for a reason), but there is no other style that I crave more on a regular basis. IPA is, without a doubt, my go-to style. After a long day of work, I most often want to sit down and relax with something herbal, piney, citusy… you know, something with some serious IBUs. Anytime I’m at a “yellow beer bar”, I’m looking for a beer, any beer, with a respectable portion on alpha acids. I think you get the point. Despite what you may think, I really do heart hops. The main reason why I don’t write about hop forward beers is that I find it to be very difficult to expand on the experience with any worthwhile composition. When I write NBN, I try to fully express the various waves of perception that my senses experience amidst my enjoyment of a highly complex beer. In my view, hoppy beers are very rarely complex, or rarely complex in a way that I am able to deconstruct and adroitly verbalize. Content escapes me. Most often I feel as though I’ve reverted back to a time when my beer knowledge was fledgling at best. 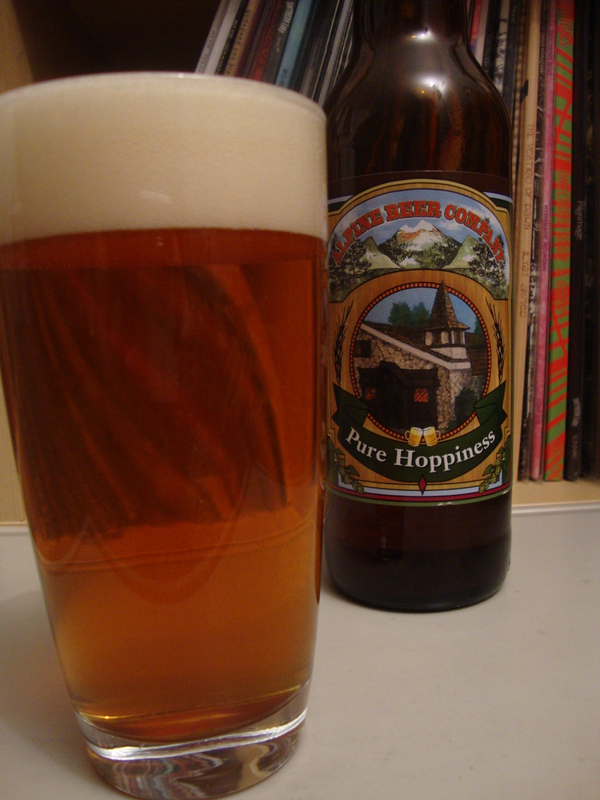 “This tastes…hoppy…and lacks balance.” End of review. The most unfortunate part about it is, as I said earlier, I heart hops. I drink IPA’s all the time. I really enjoy hoppy beers. Shouldn’t I be able to share these experiences? Perhaps I should view it as a challenge. The Hop Brief will be dedicated to this aspiration. It may be painfully curt in the inception, but here’s hoping for growth, both as a writer in general and as a beer reviewer. As always, Beer Blotter desires your thoughts. Taste something different? An adjective strike you that would be more appropriate? Think that my taste buds are straight up worthless? Shoot us a line. Look out soon for The Hop Brief.